Lightweight design makes hanging more enjoyable,hang it on the wall to accent your already-beautiful home! 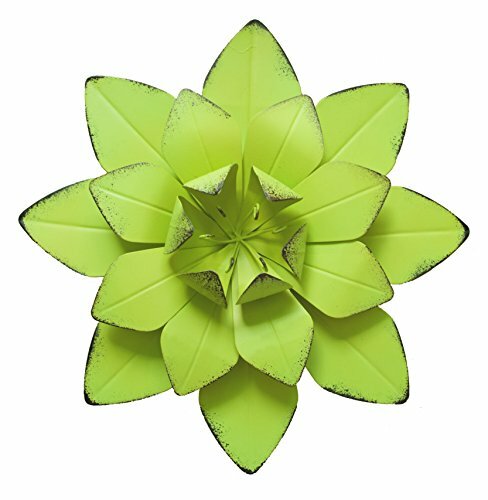 metal leaf and the wire can be lightly fold into your required designs ,more stereo and active for wall decor.Different designs and colors are freely combined as flower wall art decor. WARM NOTICE: Customer's satisfaction is of most importance to GIFTME 5.If you are not satisfied, before you leave the negative review/feedback, pls contact us and let me know that, we promised guarantee 30 days money back. Why Wait Any Longer?Make your walls alive and artistic,click on the Add to Cart button to have your GIFTME 5 metal wall decor shipped ASAP! If you have any questions about this product by GIFTME 5, contact us by completing and submitting the form below. If you are looking for a specif part number, please include it with your message.